It can be used for roadways, parking areas,walkways, ADS rank, RV camp sites, trails, boat entries, turnaround points, staging areas, broad walks, and runways,among other things. 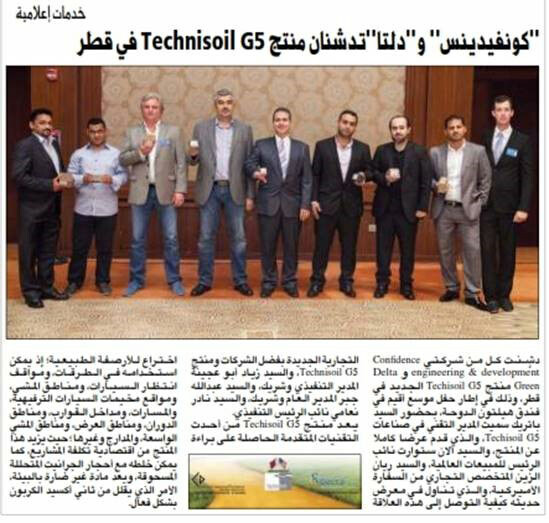 Technisoil GS can be mixed with decomposed granite and crushed stones. Technisoil G5 is an enviromentally friendly material effectively reducing carbon dioxide. 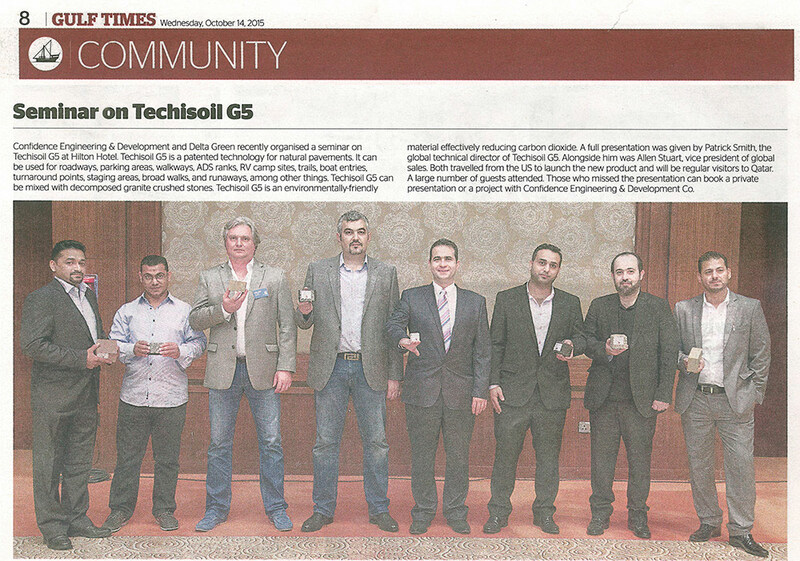 A full presentation was by Patrick Smith, the global technical director of Technisoil G5. Alongside him was Allen Stuart, Vice president of global sales. Both travelled from the US to launch the new product and will be regular visitors to Qatar. A large number of guests attended. Those who missed the presentation can book private presentation or a project with Confidence Engineering & Development Co.